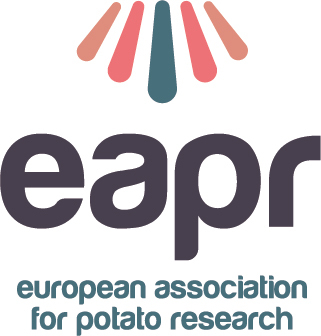 Field experiments with four potato cultivars showed that there were significant differences in susceptibility to attack by wireworm,Agriotes obscurus. The two most susceptible cultivars had the lowest total glycoalkaloid (TGA) contents. 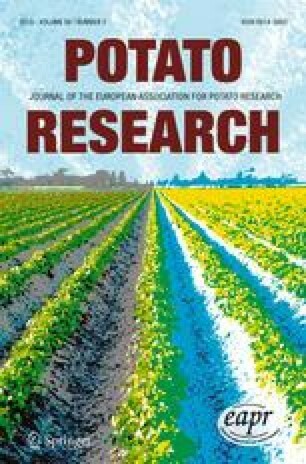 Laboratory experiments with wireworms feeding on tuber slices demonstrated that regions characterized by a low sugar and a high glycoalkaloid concentration were avoided as feeding sites. Bio-assays with glycoalkaloids also showed that paper discs treated with a mixture of solanine and chaconine were avoided by wireworms. According to a forward stepwise regression analysis based on data from four cultivars and six regions of the tuber. TGA was the key factor in predicting larval feeding, accounting for 65% of the total variation. Differences in reducing sugar levels (fructose + glucose) explained an additional 13% of the variation. Differences in chlorogenic acid and sucrose levels added very little to the accuracy of the prediction.